Team is responsible for providing the necessary amenities to organize an event. 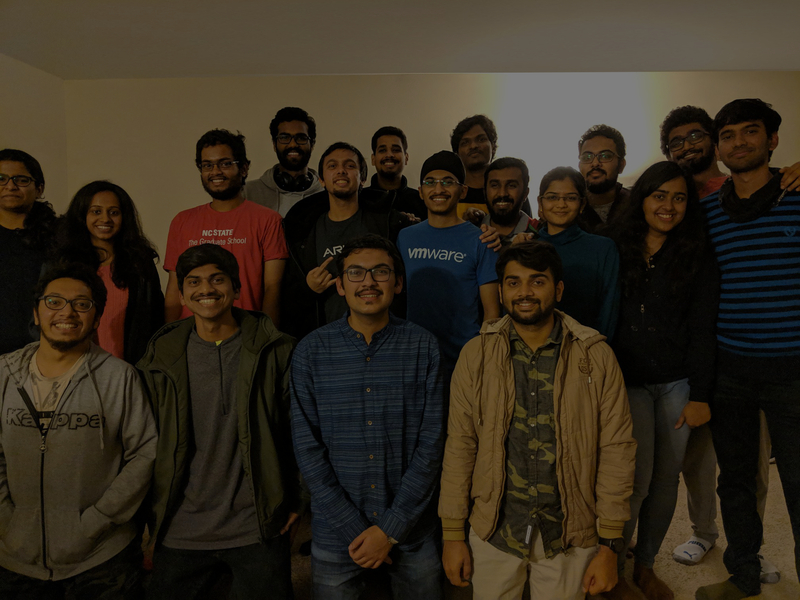 Responsible for liaising between the Maitri team and its counterparts mainly NCSU OIS also coordinate with EKTAA, other undergrad organizations, NCSU Staff Senate, NCSU Student Body, URec, SORC, YUVA. Take up most responsibilities when it comes to conducting event right from booking the venue, ordering food, booking for transportation, booking sound and lighting system, booking eco trash bags, reaching out to Wolf TV, NCSU Technician all the while keeping a track of budget. Also involved in finalizing sponsorship deals. Responsible for reaching out to companies to get sponsorship. Delegate work to the sponsorship team to contact different companies. Ensure all the appropriation and budget meetings called by NCSU Student body are attended. Keep a track of sponsorship contracts and ensure that the deal requirements are met in each event so that we are financially funded in return of publicity. Prepare budget and present to student government to request funds during spring and fall. This is the position in the team where most requirements are. The work involves planning for various Maitri events throughout the year and executing them. The team would be in charge of planning the entire event, finalizing the venue, caterers, other technicians etc, and also deciding the games/other events, deciding the performances, and executing it all on the day of the event. This team will also be the most involved in mapping volunteers for airport pickups, go for most of the pickups, mapping people to houses for temporary accommodations etc. Creative, enthusiastic, willing to put in time and effort to ensure that the events and other activities go smoothly, patient. This individual will be the main point of contact for the management team with the event production team. The work would involve all the things in the description for the event production team, and more. The additional responsibilities would include maintaining co-ordination in the entire event production team, following up to ensure all the individual tasks assigned to each person in the production team are done. This person would be the single point of contact with the management team, and should be able to update the management team with all the developments happening in the event production team. This individual would also be involved in discussions with the treasurer to allocate budget for specific events and other activities. Creative, able to interact well with a team, have a good understanding of what all goes into organizing an event, effective communication skills in order to be able to convey information clearly between the event production team and the management team, patient. Working for the sponsorship team gives candidates an opportunity to work with sponsors and bring in money to conduct MAITRI events. Candidates must be proficient in Excel, and be prepared to deal with any kind of sponsorship issues (New sponsorship requests, old contract renewal, etc). Excellent communication skills and a willingness to meet people is mandatory for this position. Sponsorship team will work closely with the PR&Sponsorship head, the Management team, and the treasurer to ensure MAITRI has enough funds to conduct events through the calendar year. Attend Student Government appropriations meeting and represent MAITRI at the University Appropriations review every semester to request funding. Prepare MAITRI Budget after considering requirements from the MAITRI management and the Production team. Find out potential sponsors and co-ordinate with Bank of America, DesiOPT to renew existing contracts. MUST MAKE SURE all sponsor requests are handled on event days (Photos of Sponsor Flyers, Digital Banners, Students holding Flyers, etc) and update sponsor after events to give a description of how the event was done. Co-ordinate with Event production during event planning. Cross functional work with the NCSU Outreach team is also required. We believe that MAITRI does not have enough visibility in the Indian community at Cary and Morrisville. We could partner with organizations like the HSNC and various NGOs, Indian student organizations from other universities in the vicinity and take MAITRI to even greater heights. This is a also a very big untapped sponsorship market. The work involves taking initiatives to expand MAITRI’s visibility and reach in the Indian community. Work in tandem with the sponsorship team and explore more avenues to increase the sponsorship that MAITRI receives. Be the primary person of contact for other Indian organizations in the triangle area, other universities like Duke, UNC etc. Commited to establishing MAITRI’s image in the Indian community. This individual will be a part of the event production team. Apart from this, the individual will also handle all communications through the Maitri email id- maitri.ncsu@gmail.com. This individual will be in charge of sending out all official emails from Maitri, replying to all the emails, responding to queries from prospective students etc. 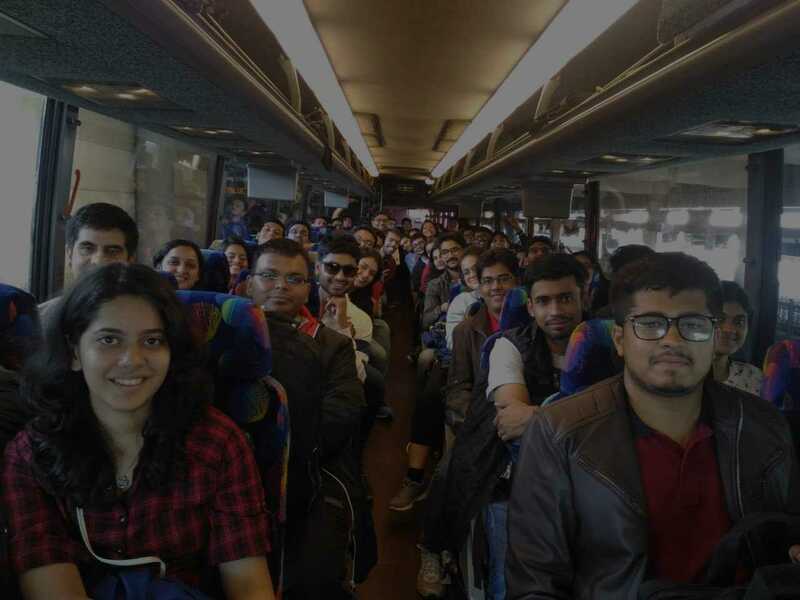 The individual will also be in charge of sending out emails regarding airport pickup and temporary accommodation details to incoming students. This person will also be in constant touch with OIS, especially during pickup times. Good writing ability, patience to respond to emails, ability to constantly check and reply to emails on a daily basis throughout the year, need to be extremely helpful and prompt in replies, maintain a good relationship with all other bodies that interact with Maitri as this individual will be the main point of contact for most people outside Maitri with the team, and will be Maitri’s representative while interacting with most people. Maintain the account which includes the following activities: Deposit cash from all events, checks from sponsors. Collect receipts from everyone after every event. Give checks for all valid expenses. Cash for random stuff like gas money, parking fee, etc. Maintain a separate detailed excel file for yourself to remember what money went where. Maintain the Maitri website. Regularly update website with useful information along with event updates. Ensure website reflects all work done by Maitri. Revamp existing website-new platform, new languages, content management systems. This position will be cross functional with event production. Strong knowledge of HTML, PHP and CSS. Preferably previous experience in dealing with websites. Knowledge/Interest to learn about new platforms and technologies to revamp the existing maitri website. For ex. Drupal, Joomla etc. Maintain the Facebook page and Maitri NCSU Facebook account. Post about all events and other stuff that Maitri is doing. Hype the events, create events, uplaod pictures, and avoid any spamming on the Maitri FB wall or the inbox. Also, answer any PM’s that come on the Maitri FB inbox appropriately. In charge of creating Teaser Videos/Promos before events. Also take charge of capturing video during the event, editing every performance and uploading on Facbook and Maitri website. Also think of new ways to publicise events for eg: Instagram competition. Technical Skills: Basic Video Editing softwares (Movie Maker, ULEAD video studio, Vegas, Final Cut pro or any related softwares). Know how to handle DSLR or Video camera.